There’s never a good time for your laptop to blow up. Because it’s at that point that you realise your previous one has gone to the tip, you bought the thing online and there’s nobody to ring up and complain to and, understandably, any shops that sell similar models will not be too keen to help you out. Hence you end up scrambling around with the choice of 1) either blowing the dust off a 2012 model that you think is still in the shed, 2) nipping out to a monster Tesco to get whatever they have on the shelf or 3) borrowing one of the kids’ machines and then bribing them to tell you their passwords. And, as the first option isn’t really advisable and the second costs money, option three is a favourite (but temporary) solution. • Pubs were +5.1% with restaurants +2.4%. Pub operators will be relieved and happy whilst restaurant sales are below the rate of cost increases. Discounting in January in the latter category is intense. • It adds ‘what these Tracker figures suggest is that consumers are being more selective about where they spend their money, and are looking for memorable experiences – like going out for a meal or drink with family or friends over Christmas – rather than just buying ‘things’’. • Sales versus profits. Margin is key. • Drink sales were +6.4% with food +3.6%. • CGA says ‘premiumisation will be a big part of that, and trading-up appears to have helped restaurants too, as the number of covers served rose only 1.3% from last year.’ Pushing price may be finite. • Underlying 12mth LfL growth is stil only +1.0%. This is well below inflation and the level at which sales must rise in order to hold profits static. • Total sales including new openings over the 6wk period were +7.1%, showing that capacity is still going in. • Langton Comment: The Tracker numbers are directionally in line with comments made by various pub (and to a lesser extent restaurant) companies regarding the Christmas period. • Interestingly, the aggregate numbers are lower than any of the individual pub companies that have let their trading be known. This suggests, perhaps understandably, that those operators who experienced a less-good Christmas have thus far not been shouting about it. • Margins will be important and here, we have no real comment. • Christmas is very important but, the best month of the year, is surrounded by the three worst (Nov, Jan, Feb) and the level of discounting at present does suggest that trading remains tough. • Greene King reports Nick Mackenzie, currently director in charge of the Midway portfolio of attractions at Marlin, is to join the company as CEO on 1 May. 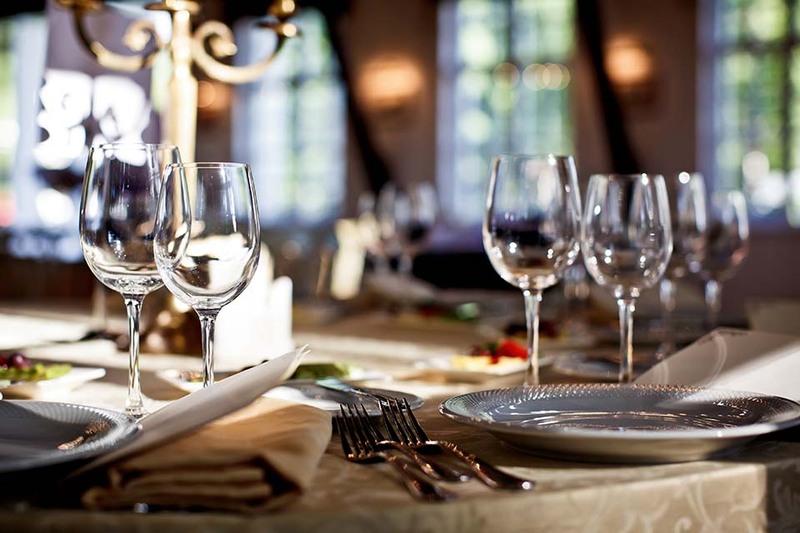 • Heavy discounting in the F&B market is likely to run up till at least payday this month. Many operators are offering 50% off. Why pay more? The road back to full price in February could be a tough one. • Brigid Simmonds, Chief Executive of the BBPA has stated that pubs need to be front of mind when it comes to planning reforms: ‘The pub is the heart of the community and vital to the high street offer, so it must be front of mind when it comes to planning reform. 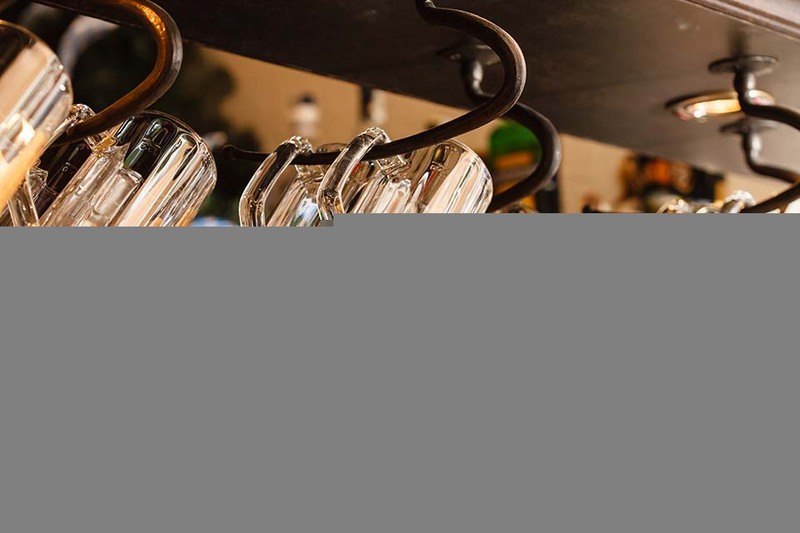 Changes to the Use Class Orders are key to this, so greater planning flexibility for leisure use is offered to pubs, not just restaurants and other hospitality businesses. Although merging Use Classes A1 (retail), A2 (Professional Services) and A3 (Food & Drink) would allow for more mixed uses, it would leave out pubs, meaning Use Class A4 (pubs) must be given greater flexibility too so pubs can make better use of their space’. • EI Group announces that it bought back 334,213 of its own shares for cancellation yesterday at 203.9p. • UK coffee shops have seen a 20th year of sustained growth up 7.9% in turnover during 2018. Revenue from cafes in the UK amounts to £10.1bn, generated from 25,483 outlets. • Research commissioned by the environment secretary Michael Gove has found that if Britons were to cut meat and dairy out of their diet, as much as 90m tonnes of carbon emissions could be eliminated. • The steak restaurant chain, Flat Iron has raised a £5m funding package from alternative lender ThinCats, as the six-strong group looks to expand over the net three years. • Raymond Blanc’s Brasserie Bar Co restaurant group has offered to pay for its non-British EU employees to apply for ‘settled-status’ in the UK after Brexit. • Leon has stated that it has no plans to revive its Thai pop-up Tuk Shop, according to the MCA. • Gresham House invests in Rockfish, as the South-West coastal restaurant chain plans to expand from 6-16 units over a four-year period. • East London Pub Co opens The Gun in Spitalfields, adding to their estate which includes the Ten Bells and The Lock Tavern. • Monetate reports high street travel agents will receive just 20% of all holiday bookings, with March and April set to be the most popular months for holiday bookings. • Ryanair discontinues its package holiday division Ryanair Holidays. Previously in 2017 the company had said it had plans for a ‘fairly big’ package business. • Village Hotels plans to expand to 50 UK hotels by 2026. The group, owned by US-based KSL Capital Partners, currently operates 30 UK hotels. • The State of Meetings Report 2019 finds that the average employee spends two hours a week in ‘pointless’ meetings costing the world more than $541bn in resources. • Cineworld reports FY pro-forma admissions up 2.6% yoy to 308m, with group revenues up 7.2%. During the year Cineworld opened 13 new sites taking the group to 790 sites by year end. The company said ‘integration and development plans for Regal are progressing well and management continue to review further opportunities.’ 2019 is set to have a strong film slate, including ‘Avengers: Endgame’, ‘Star Wars: Episode IX’ and ‘Toy Story 4’. • Verizon has developed its own game streaming service called Verizon Gaming, reportedly offering access to over 135 games including Battlefield 5 and Red Dead Redemption 2. • ECB boss Mario Draghi denies that the Eurozone is heading towards recession but says that the wider economy will still need support from the European Central Bank as its slowdown could last longer than expected. • German economy slowing with decline of 0.2% in Q3. • Sterlikng down vs dollar at $1.2863 but up vs Euro at €1.1269. Oil up a dollar at $60.74 with UK 10yr gilt yield down 5bps at 1.25%. World markets up yesterday with Far East mixed this morning. o Government in disarray after largest defeat in history. Vote of confidence, which it is likely to win, today. o Smell of incompetence in government may be opening the door to Jeremy Corbyn. Fascinating game of chess being played with our lives. o PM to come back to Commons on Monday with an ‘alternative plan’. Brussels will not call a special summit this weekend. It has said that it will not open talks. o Too many red lines (Conservative vs Labour) for there to be agreement on what the House of Commons wants in a deal. Permanent membership of a Union or not, etc. etc. People’s Vote looking somewhat more likely. o Stephen ‘I campaigned for Leave’ Barclay has said that no-deal remains an option. Business & most of the Commons seem to disagree. • Later tweets: CAKE (still suspended) sees another director, James Horler, depart. Elegant Hotels reports CFO to leave company. he Works: The interims from the stationery chain The Works (which went public back in July) today cover, belatedly, the 26 weeks to Oct28th, but there is also a trading update for the last 11 weeks and that is surprisingly good. The BRC-KPMG survey last week singled out Stationery as one of the worst performing Non-Food sectors at Christmas, but The Works has more to its bow than just Stationery, including books, gifts and toys (eg the “Squishies” soft toys that have become the latest craze). Despite weak High Street footfall, LFL sales were up 3.8% in H1 and over Christmas LFL sales growth improved to 4.5%. The first half saw a slight increase in the seasonal loss, but the company says that it is on track for its full-year expectations. Waitrose Watch: The Waitrose business was seen as one of the relative losers in the supermarket industry over Christmas, but the first week in January was good (helped by an extra day of trading over the New Year) and, in JLP’s weekly overview yesterday morning, Waitrose also reported a decent 3.7% increase in gross sales last week, in w/e Jan 12th. That shifted the cumulative sales run-rate up a notch or so, from -0.5% to -0.3% after 24 weeks of H2, with just 2 weeks left in the financial year. With no new store openings to speak of, the slight implied fall in LFL sales is still disappointing, but Waitrose has been working hard to protect gross margins by not discounting pre-Christmas and JLP flagged last week that full-year profits will still be up. John Lewis Trading Watch: The John Lewis good late run at Christmas continued into early January and last week was also quite decent, as the w/e Jan 12th was up by 0.7% gross (c1% down on a “LFL” basis, excluding new stores like Westfield), as the Clearance Sale continued. In terms of sales mix, Home sales were down 0.5% gross last week and Electricals were 1.2% down, but Fashion/Beauty sales were up by 4.9% gross, boosted by a surge in Womenswear Accessories business. The cumulative H2 sales run-rate is still +0.4% gross after 24 weeks (c1.5% down LFL).